BAC organic Grow is a top quality fertilizer from BAC especially developed to promote strong and vigorous plants during the vegetative growth period. 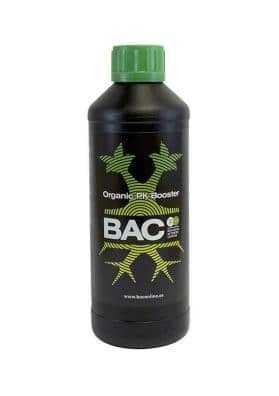 BAC Organic Grow is a top quality Cannabis fertilizer from organic origin. It yields a lot since due to its high concentration and liqui form. This fertilizer was especially created for the vegetative growth period of Marijuana plants. 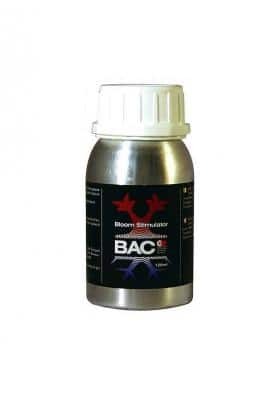 This new BAC fertilizer is suitable for indoor and outdoor cultivations as well as for all kinds of substrates. 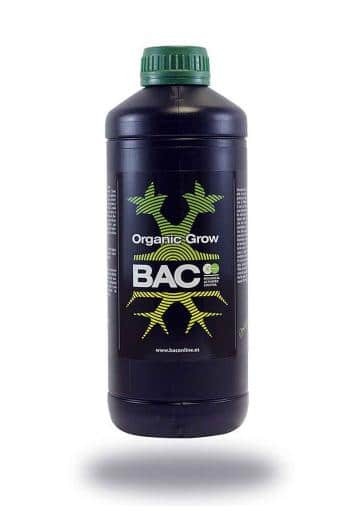 BAC organic Grow has ideal NPK amounts for a vigorous growth, being eriched with Nitrogen (N). Besides that, is a fertilizer of easy assimilation by the plants. 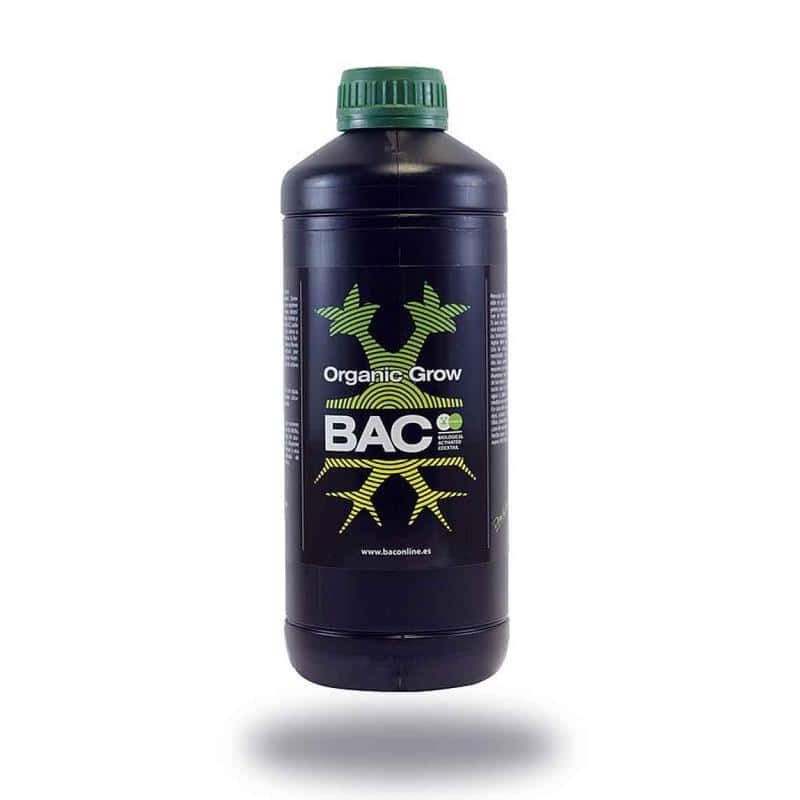 BAC Organic Grow fertilizer also includes large amountd of macro and micronutrients responsible of promoting strong and robust plants from the first moment. 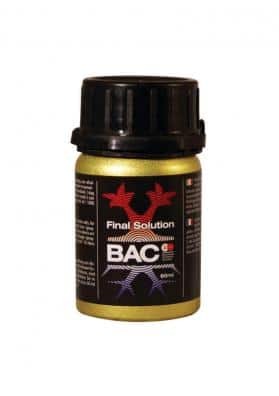 With BAC organic Grow the plants will develop fat and energetic stems and leaves. This fertilizer is grealty fixed in all kinds of soils. Nonetheless, be careful with overfertilization issues, if that happens we recommend to do an irrigation with enzymes once a week. 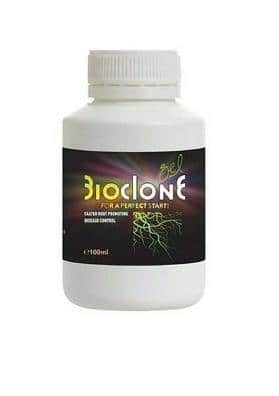 Dilute 2-3ml of BAC organic Grow per liter of water and do a root application (watering). Start with 2ml/L and increase the dosage to a maximum of 5ml/L. Not recommended for hydroponic systems.